Krowdfunder: The Game Comic #3 - NOT Hippo McHippoFace! 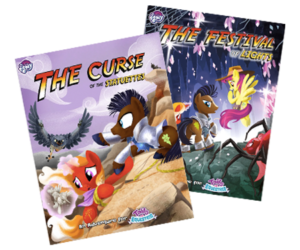 Take a look at the latest Krowdfunder: The Game Comic! We want your suggestions on a name for our Hippo, submit your suggestions using our form here. 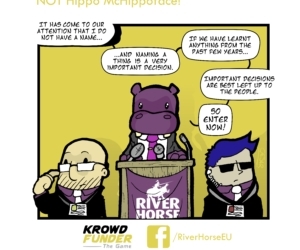 https://riverhorse.eu/wp-content/uploads/2019/01/003-Hippo-of-the-Peaople-V-V5.jpg 1840 2048 River Horse https://riverhorse.eu/wp-content/uploads/2018/07/RH_logo_trans.png River Horse2019-02-04 15:25:122019-02-12 15:36:18Krowdfunder: The Game Comic #3 - NOT Hippo McHippoFace! 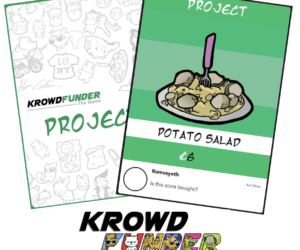 Don't forget to check out the FREE Krowdfunder: The Game Print & Playtest! 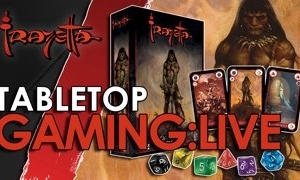 If you missed Monkeys with Fire's recent playthrough on thier Twitch Channel of Frazetta: The Card and Dice Battle Game then you may be pleased to hear the highlights are now available on YouTube. 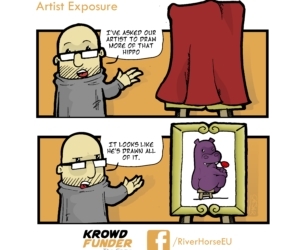 https://riverhorse.eu/wp-content/uploads/2019/01/DigitalRelease002.png 450 450 River Horse https://riverhorse.eu/wp-content/uploads/2018/07/RH_logo_trans.png River Horse2019-01-28 15:50:292019-01-28 15:53:56Two New Digital Tails of Equestria Books Available Now! 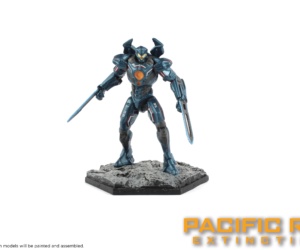 As Pacific Rim: Extinction gets further along the production process, we are receiving painted production samples. 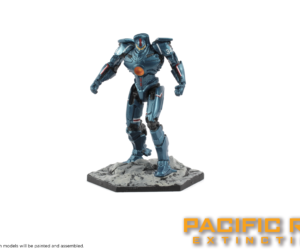 Today we'd like to show you Gipsy Danger, the original legendary Jaeger! Karl Kopinski joins Krowdfunder: The Game! Karl Kopinski is joining Krowdfunder: The Game with this new artwork and his own (very powerful) Buzz card! https://riverhorse.eu/wp-content/uploads/2019/01/KFprojectpost.jpg 1250 1250 River Horse https://riverhorse.eu/wp-content/uploads/2018/07/RH_logo_trans.png River Horse2019-01-07 18:14:562019-01-08 18:15:31Karl Kopinski joins Krowdfunder: The Game! If you've ever dreamed of bringing the perfect product to millions, why not start with this crowdfunding classic? 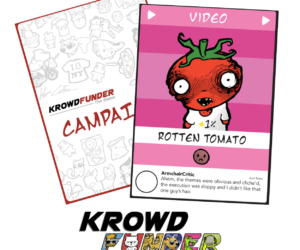 One of the all important 'Campaign Card' types, Video Cards represent the crucial video component of any crowdfunding campaign. What do you think is important in a video?